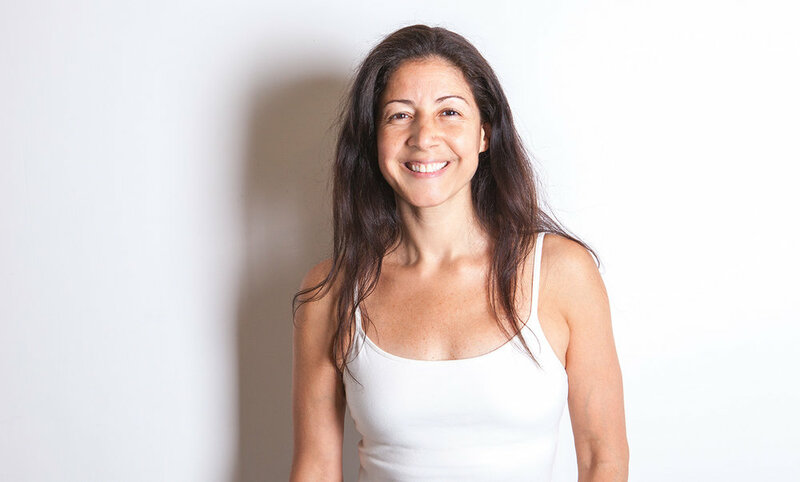 Aimée is a Certified Yoga Teacher under Yoga Alliance US & UK with over 3500 hours of training in three core yoga disciplines: Sivananda, Bikram, and Jivamukti. Her practice of yoga began in 1989 when her brother was diagnosed as HIV+, then forged forward more intensely in 1995 after losing her brother to AIDS. Similar to her Grammy Award winning cousin, Olga Tañón, Aimée wanted to share this gift with those that needed to heal themselves at all levels. In 2002, she founded Pranava Yoga, with the inspiration to offer yoga and meditation to those in businesses of all kinds. Aimée has been leading international classes, workshops, vacations that empower all beings to make a conscious choice to better their lives and the lives of all those around them. In 2011, she became Dechen Thurman’s 1st premiere 800h certified teacher and returned to get her MBA at Nyenrode Business University in the Netherlands. There Aimée brought the ancient teachings of yoga to make it the 1st Business School in Europe to offer yoga and meditation to its students and staff. In addition to teaching yoga, Aimée is “bridging the gap” between the world of consulting in business, and technology, and humanitarianism as an eco-spiritual entrepreneur through her passion for yoga.